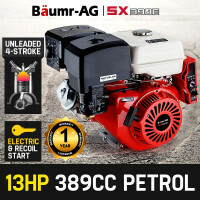 Looking for a superior quality replacement for a worn out machinery engine that was stocked at your garage for a long time? 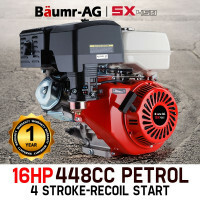 Suitable with a wide range of industrial, agricultural, construction and domestic machines, Baumr-AG's great line of Petrol Stationary Engine is designed with topnotch and reliable components to produce high power output. There is no need to worry about the engine's durability as each one in the range is being offered with an Australian warranty guarantee and packed up with supreme features to meet Aussie's stringent industrial standards. 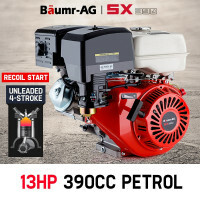 With a handy starting guide provided to users, Baumr-AG Petrol Stationary Engines can be easily started, used and maintained. 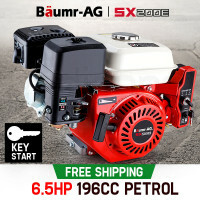 Equipped with an outstanding standard shaft, foot print and other key features, you can rest well knowing that the engines will function as expected. Add more money to your pocket today. 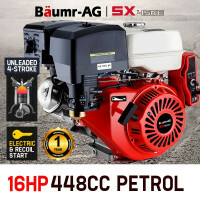 Baumr-AG ensures that these engines are specifically designed to use less oil and be more fuel efficient as compared to the other brands in the market. Save yourself from the troubles and hassles of checking shops online or around the town to have your replacement engine maintained or repaired. 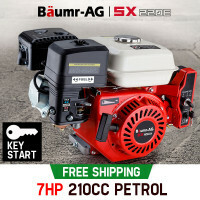 Edisons made this very convenient for you as the Baumr-AG Petrol Stationary Engines are being offered with a lifetime comprehensive parts and service support. Shopping for other high quality, sturdy and reliable power machinery and accessories for your DIY projects? Edisons is a home to other superior brands that are known for manufacturing outstanding Petrol Generators, Diesel Generators, Inverters and Transformers which are compatible with these Petrol Stationary Engines. Guaranteed fast delivery, these power products are reasonably priced, assuring customers that they will get the best value for their money for every purchase made. What’s the hold up? Power up your operations today! 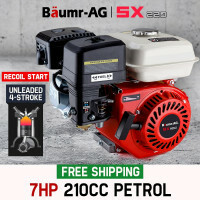 Get your own Petrol Stationary Engine and get a good deal from us!